Charles Everette Freeman, 78, of Paragould, passed away Monday at St. Bernard's Medical Center. He was the son of the late Louis and Sarah Freeman. 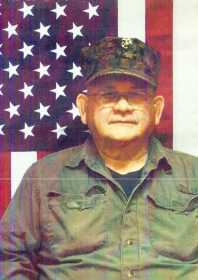 Charles was a Marine veteran who was retired from Frito Lay. His hobbies included fishing and driving back roads. He was a member of The Rock church in Jonesboro. Also preceding him in death is his wife, Claudia Freeman; and brothers, Tim Freeman, Richard Freeman, and Albert Freeman. Survivors include daughter, Andrea Baioni (Carl), of Summerville, Tennessee; sons, Eric Freeman (Lynda), of Seligman, Missouri and Evan Freeman (Catina), of Paragould; and grandchildren, Allison Palmer, Austin Freeman, and Billy Freeman. Graveside memorial service will be held Saturday at 1:00 pm at Woodland Heights cemetery in Rector with Rev. Dave White officiating. Donations can be made to Wounded Warrior Project.